One of the key ingredients of a great shaving experience is without a doubt the shaving cream, regardless if you’re using an electric shaver or a traditional double edge or straight razor. With a plethora of products on the market it can be a little daunting to pick the best shaving cream for you. But fear no more, as in this article we’re going to address in great detail all the aspects of what makes a quality shaving cream, along with extensive examples of some of the best products out there. Let’s dive right in! 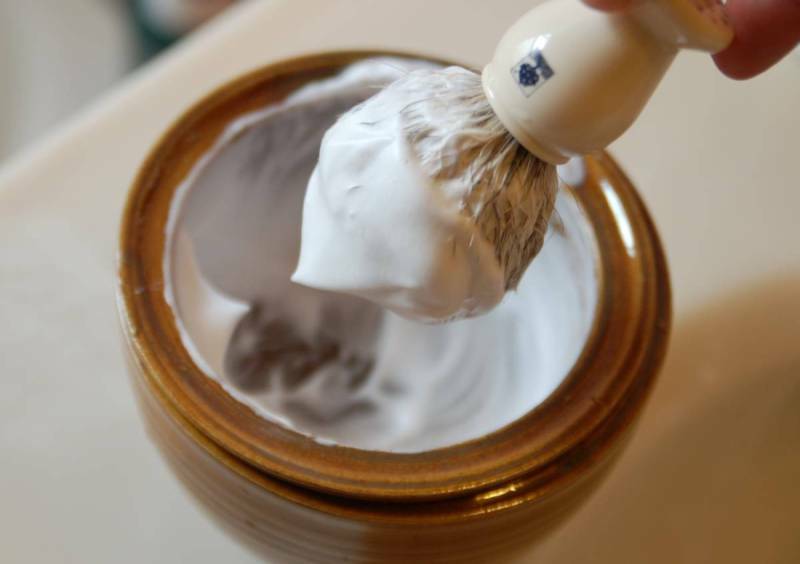 Shaving creams 101 — how do they work? Even though it seems a bit self-explanatory, it’s important to get all the facts straight. Shaving creams are soft, lathering substances that are applied to the face, usually with a shaving brush or simply by using your hand. The main role of a shaving cream is to provide lubrication and to soften the tough outer layer of the hair called the cuticle, while maintaining the skin properly hydrated and nourished. The cuticle gives the hair its mechanical strength and hot water alone can’t do much to weaken its structure. Therefore, all quality shaving creams contain some sort of alkaline substance capable of softening this shell (the most common being Potassium Hydroxide or Sodium Hydroxide). By combining hot water with the action of a shaving cream, the cuticle components (that look like a stack of plastic cups) will start to fan out as the hair shaft is absorbing water, thus making it easy for a razor to cut through the hair. Pressurized creams and gels gained a lot of popularity and it’s easy to see why: they’re cheap, you can buy them anywhere and are extremely practical. However, they do have some serious drawbacks when compared to the traditional shaving creams that we’re referring to in this article. The shaving performance of the typical shaving gels and creams from pressurized aerosol cans is disputable at best. The cushioning, lubrication and overall shaving experience are inferior to the traditional shaving creams. Also, they often contain chemicals (synthetic fragrances, alcohol, preservation agents, paraffin) that can irritate sensitive skin. Unless you’re constrained by the situation, you should really steer clear of anything that comes from a pressurized can if you’re looking to improve your shaving experience. What are the typical components of a quality shaving cream? We are now going to concentrate on the really good stuff — that is traditional shaving creams that come in jars and tubs and require a shaving brush to build and apply the lather. There are also excellent shaving soaps, but that’s a topic for another article. By reading the ingredient list of most of the top performing shaving creams, you’ll stumble upon a handful of components that are found in almost every one of them. Let’s take a closer look at the most important ones. A form of fat, usually a natural oil like coconut, almond, avocado, eucalyptus or olive oil. The key characteristic of these oils is that they do not penetrate the skin and remain on the surface. Some shaving creams also contain lanolin, a greasy substance produced by wool-bearing animals that has excellent emollient properties. Glycerin. Glycerin is a thick, viscous liquid that serves as an emollient, lubricant and humectant. This is what makes the lather so rich and wonderfully luxurious. Fragrance — usually from essential oils, the most popular being Sandalwood, Lavender, Lime, Rose, Eucalyptus and Peppermint. As you probably guessed, they are responsible for those scents that we absolutely love. An alkaline substance. As previously mentioned, the outer layer of the hair (cuticle) is a very tough component that can only be soften by absorbing water in the presence of an alkaline substance (Potassium Hydroxide or Sodium Hydroxide) and a humectant (glycerin). An important mention has to be made about parabens, perfumes and preservatives: they can irritate very sensitive skin, so you’ll want to look for a paraben free and/or unscented shaving cream. Taylor of Old Bond Street (TOBS). 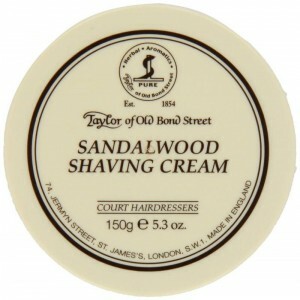 Taylor of Old Bond Street (TOBS) has to be one of the most popular and widely recommended brands of shaving creams. TOBS is a London based company that has been producing high quality grooming products for men since 1854. Even though it is not considered by shaving enthusiasts to be a high-end brand (we’ll get to those later on), the quality and performance of their products, especially for the price you’re paying, makes them hard to be ignored. They are suitable for both beginners and veteran wet shavers. A 150 grams (5.3 OZ) tub can be bought for around $13 to $17, making it extremely good value for money. While the performance of a particular product is always a personal matter (to some extent), it’s safe to say that all TOBS shaving creams are great performers. Taylor of Old Bond Street is one of the manufacturers that have an extensive lineup of scents. 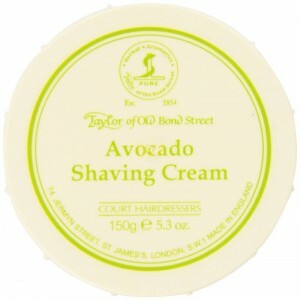 Their Avocado Shaving Cream is on of the most popular ones. It also happens to be one of my favorite shaving creams. It lathers effortlessly, provides great cushioning and lubrication and makes shaving a wonderful experience. Regarding its scent, there seems to be a love-hate relationship with it among users. Let me just say that I personally like it quite a lot. It doesn’t smell anything like Avocado as the name implies (it actually contains Avocado Oil, hence the name), but more like freshly cut grass and a bit of cucumber. It’s really hard to put it into words, but to me it’s a very airy, refreshing scent that is not overpowering and quickly fades away afterwards. 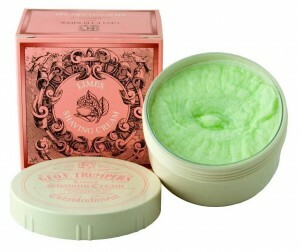 TOBS Jermyn Street is also a highly appreciated shaving cream, with subtle bergamot and lime fragrance. Being allergen-free, it was specifically formulated for men with sensitive skin that is prone to breakouts and irritation. Another worthy mention is their Sandalwood cream (a #1 Best Seller), many claiming it to be one of the best Sandalwoods out there. While it is also a great performer, I found the scent to be a bit too strong for my liking. It also seems to linger on for a while after you’ve done shaving. If that’s not a problem for you and you like a strong Sandalwood scent, you can’t really go wrong with it. Castle Forbes is a unique manufacturer from the Vale of Alford in Scotland that produces small batches of high quality products, like shaving creams, after shave balms and perfumes. Using only natural, high quality ingredients, Castle Forbes products ooze quality just by looking at the packaging. Their shaving creams are simply luxurious: rich and wonderfully creamy lather that smells and performs great, leaving your skin well nourished and conditioned. 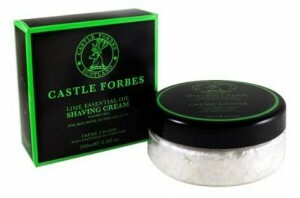 I will even go as far saying that Castle Forbes makes some of the best smelling shaving creams out there. Even though they are priced significantly higher than TOBS for example, they are still great value for money since they come in 200 grams (6.8 OZ) jars and are extremely concentrated. The cream almost resembles a soft shaving soap with its thick texture. You only need a tiny amount of the product for a complete shaving session. Their Lime Oil Shaving Cream smells absolutely delicious. It’s an extremely powerful and in your face lime scent, while the lather provides great cushioning and comfort, moisturizing and nourishing your skin. The Castle Forbes Lavender Shaving Cream produces one of the most soothing and silky lathers, recommended for sensitive skin. If you are suffering from rashes, bumps or razor burn you should definitely check this one out. The lavender oil scent is wonderful; it’s flowery, yet masculine. If you’re a fragrance enthusiast you won’t be disappointed. Speick is a small family owned company from Germany. For generations, it has produced cosmetics using only natural, locally grown ingredients. All of their products contain extract of Valeriana Celtica, a wild plant harvested from the mountains of Austria for its relaxing and soothing properties. 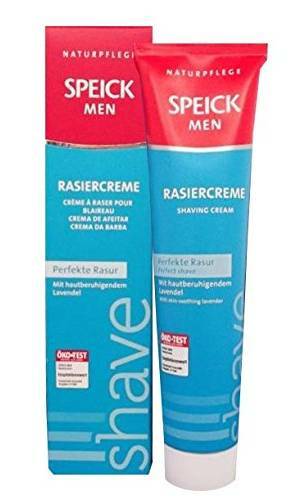 Speick Shaving Cream is probably one of the most surprising products from this entire list and a personal favorite of mine. Even after reading some rave reviews, I was still pretty skeptical about an inexpensive shaving cream I’ve never heard about. It actually turned out to be one of the best performing shaving creams I ever used and is now one of my must have products. 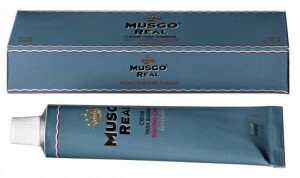 It is extremely protective and slick and the comfort sensation during and after the shave is almost second to none. If I were to nitpick, I would say that it requires just a bit more work lo lather than other shaving creams; also, while I do enjoy the scent, some might consider it a bit old-fashioned. To me it smells like a classic, barber-shop like product that my grandfather would have used in his prime. It’s spicy and manly and it doesn’t clash with your aftershave or cologne as it quickly fades away. And for the price you’re paying, it’s a real bargain. Highly recommended. 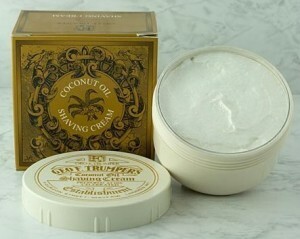 Another manufacturer from Britain that produces high quality shaving creams is Geo F. Trumper. Similarly priced to TOBS, their lineup includes some excellent variations, including the highly acclaimed Coconut Oil, Violet, Rose, Sandalwood, Limes and Almond. They also offer good value for money and come in 200 grams (6.8 OZ) jars and 75 grams (2.5 OZ) tubes. 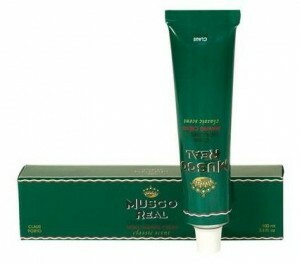 Manufactured in Portugal and free from artificial ingredients and irritants, Musgo Real is another quality shaving cream that deserves some attention. With generous amounts of Glycerin and Lanolin, it comes in several wonderful variations like Lavender, Oak Moss, Spiced Citrus or Classic. As it’s the case with the shaving cream from Speick, it also requires a bit more work to lather, but nothing to turn you away from it. It’s not exactly cheap either. Other than that, it provides excellent cushioning and lubrication and yields great results in terms of both closeness and comfort. 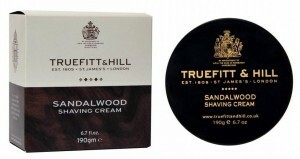 Based in England, Truefitt & Hill (the third of the big T’s from Britain) has been in the business of men’s grooming products since 1805. Their line of shaving creams includes an extensive list of products and are priced higher than other manufacturers like TOBS or Trumper’s. Their lineup includes their own fragrances like Trafalgar, 1805 or Grafton and also Almond, Lavender, Rose or Sandalwood to name a few. To be perfectly honest, my experience with Truefitt & Hill was rather inconsistent. 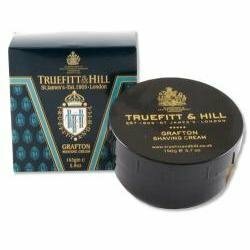 I absolutely loved the Grafton shaving cream, which has a wonderful fragrance of fern and lime and performs great. The same goes for 1805, another great performer. I also tried their Ultimate comfort shaving cream that is (almost) fragrance free, but it simply didn’t get along with my skin (even though it is marketed as a product suitable for sensitive skin). I also tried the West Indian Lime scent and found it artificial and off-putting. It also seemed to have a rather foamy consistency after lathering and not providing enough lubrication. I still consider Truefitt & Hill to be a top manufacturer that makes excellent products. And many others swear by it. This is a personal matter after all. I do think they are priced pretty high when compared to other products with similar performance. From St James’s street in London comes yet another well known name to shaving enthusiasts: D.R. Harris & Co. With a long tradition in gentlemen’s grooming products, D.R. 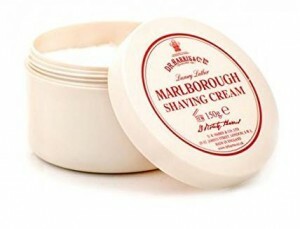 Harris offers top quality shaving creams in various scents, including the popular Arlington and Marlborough. Regarding the price, D.R. Harris is also on the more expensive camp of shaving creams from this list. Taylor of Old Bond Street for example offers similar performance for almost half the price. Nevertheless, D.R. Harris is a very solid performer. There is of course a multitude of other shaving creams that due to space constraints and lack of hands on (or face on) experience weren’t included. Mühle, eShave, Edwin Jagger, St James of London, Proraso, Triumph & Disaster, Bluebeards Revenge (Dreadnought) are just a few that weren’t mentioned. That doesn’t mean they are inferior, so if you’re using one of them and loving it please continue to do so. There isn’t such thing as the best shaving cream, but one that is right for your skin and shaving style. Apart from these, there are of course other (niche) products, most definitely high quality, but very expensive and not widely available (Xpec, Acqua di Parma, Martin de Candre, Santa Maria Novella etc.) that were also left out for those particular reasons. How to select the right shaving cream? 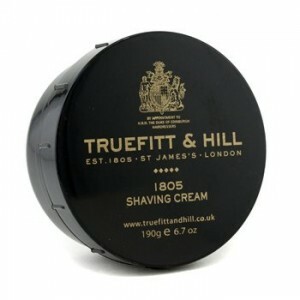 The above list of recommended shaving creams reflects my personal opinion and experience with the respective products. Also, I am not endorsed by any of the manufacturers and I have no personal interest in promoting a particular brand. Selecting the right shaving cream is mostly a matter of what you need to achieve. Maybe you’re looking for the best performing shaving cream for less than $10. Or maybe any overpowering fragrance causes you a headache or irritates your skin, in which case you should go for an unscented shaving cream. Perhaps you’re looking for the easiest cream to lather regardless if you’re using soft or hard water. Or maybe you have sensitive skin. It’s easy to see that you’re actually the most qualified person to make this call once you have a clear understanding of makes a quality shaving cream. 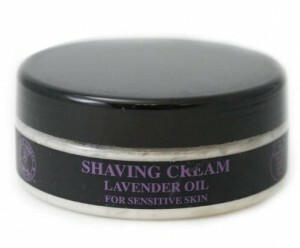 I have taken into account the shaving performance, price, scent and ease of applying. I’ll be the first one to agree that some of the criteria can only be my subjective and biased opinion, but that’s really the only way to do it. There are no definitive answers to the question in this article’s title, but hopefully after reading it you’ll be able to narrow down your options. How to get the most out of your shaving cream? Last year I wrote an extensive article on the subject of wet shaving. Even though it says electric in the title, your (pre) wet shaving routine should be the same regardless if you’re using an electric or a traditional DE razor. I highly recommend reading that article if you haven’t already done so. However, I am going to mention a couple more easy to implement tips that, at least in my case, made a huge difference. Give the shaving cream time to act. Like I mentioned several times in this article, the main role of the shaving cream is to provide lubrication and cushioning AND to alter the structure of the hair’s outer layer. An alkaline compound and a humectant (both found in the shaving cream’s composition) will cause the hair to absorb water, making it plump and soft like a boiled noodle (obvious and intentional exaggeration). The problem is that it takes time for this to happen. Most of us just start shaving right after applying the lather. I’ll be the first to admit that I used to do the same thing. If you start shaving right away, you’re practically preventing the lather to “do its thing”. The solution is simple: just let it stay on your face for at least 5 minutes after applying it. If it gets too dry, just reapply again and you’re all set. This is a minor adjustment that can make a significant difference; you can literally feel there’s less resistance from the hair during the actual shave, the comfort is greatly improved and so is the closeness of the shave. The second tip also has to do with time. Most articles recommend soaking your brush in moderately hot water for around one minute prior to lathering. From my experience, that’s simply not enough. Aim for 3 to 5 minutes. The main benefit of doing this is not just how the bristles feel against your face, but how easy and fast it is to build a nice, thick lather. Also, you don’t need a high-end, expensive brush. A simple, best badger brush like this one from Edwin Jagger should be just fine for most men. It goes without saying that this step only applies to using natural hair brushes. I know that waiting more is not something to look forward to, but prep work is just as important as the actual shaving, so don’t try to skip it or cut corners. Make it an integral part of your shaving ritual. Besides, taking your time is not a bad thing. On the contrary, shaving should be one of those simple things every man should experience and enjoy. Let’s do our best to make it something to look forward to rather than loathe. Hopefully this guide will get you closer to that. Thank you for your suggestion. I’m sure there are many high quality creams out there, but as I said in the article it would have been impossible to mention all of them. For this reason I had to include just the ones that I’ve actually tried. Those are some fantastic addition, Jack. Thank you for your comment! Very factual and well written article. I used some of your tips this morning, and enjoyed a great shave. Thank you for your comment, Gutzon. Glad you found it useful.